Cellist Nathan Chan made his musical debut at the age of three, conducting the San Jose Chamber Orchestra on a set of variations by Mozart. He has performed as a soloist with the San Francisco Symphony, The Royal Philharmonic, Albany Symphony, Hong Kong City Chamber Orchestra, and The Reno Philharmonic, among others. He made his Carnegie Hall debut at the age 12, recorded with the legendary singer Roberta Flack at age 13, and at age 15, released a CD of the live World Premiere performance of ìVelesslavitsaî by Alexander Prior on Toccata Classics. He was featured in the Peabody Award winning HBO documentary, "The Music In Me,î the Grammy Award winning radio show, "From The Top,î NPR's ìPerformance Today with Fred Child,î and was featured in the acclaimed three-part British Television documentary, ìThe Worldís Greatest Musical Prodigies.î Nathan is a 2012 Davidson Fellow and earned a Bachelorís degree in Economics from Columbia University. He won the 2013 Juilliard Cello Concerto Competition playing Strauss's "Don Quixoteî under Maestro Leonard Slatkin. In 2015, he was a chosen artist in Fondation Louis Vuitton's Classe d'Excellence du Violoncelle in Paris, France with renowned cellist Gautier CapuÁon. 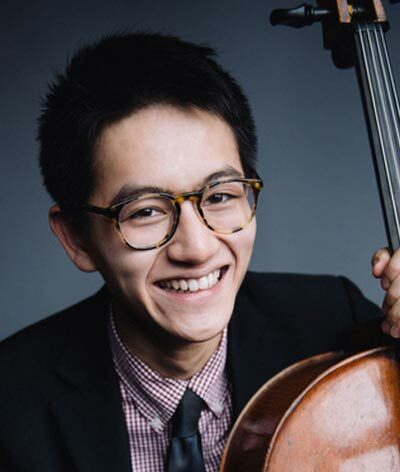 He won the 2015 Aspen Low Strings Concerto Competition playing Haydnís Cello Concerto in D Major and has a growing Internet presence with over 6.2 million views. Nathan received his Masters of Music degree at The Juilliard School where he studied with Richard Aaron. He recently joined the Seattle Symphony as their new Third Chair Cello.